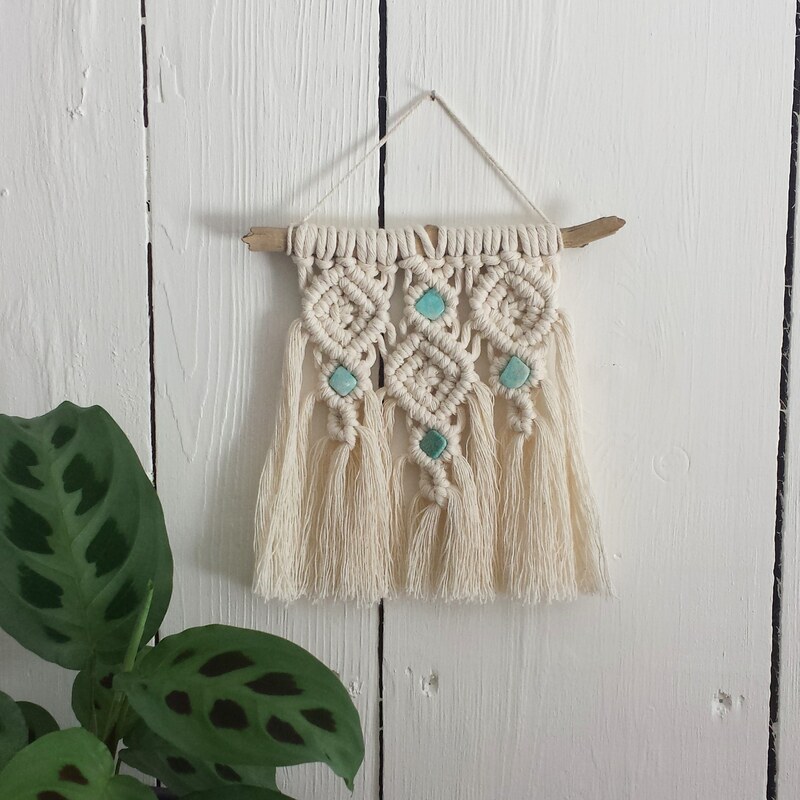 While looking at my originaldragonfly macrame, I really fell inlove with the pattern on the side pieces. It felt… serene. 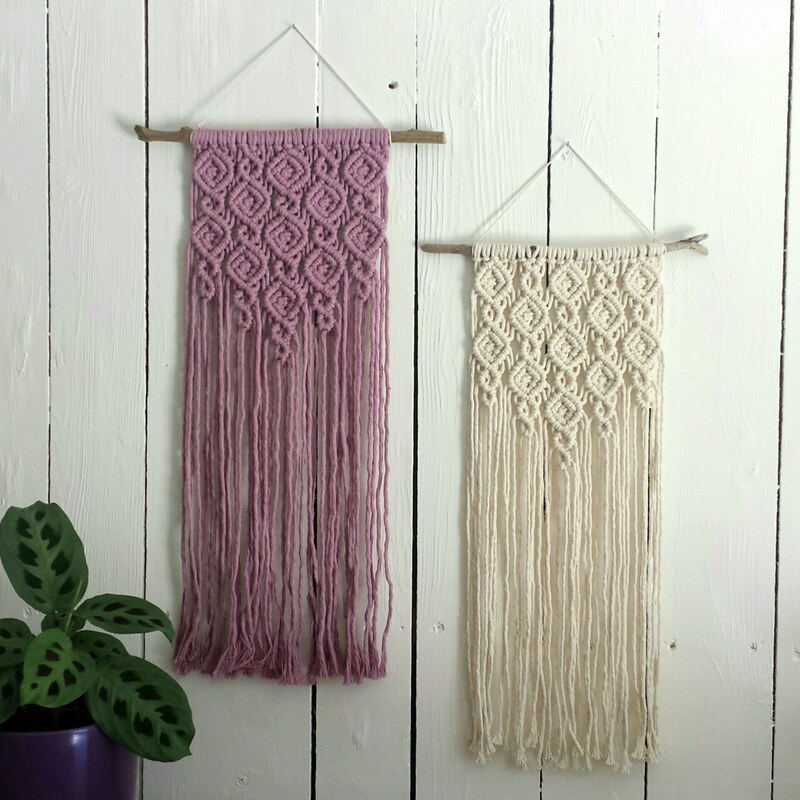 I imagined making an entire wall hanging of this pattern and eventually made one with natural colored rope, and then later in dusty rose. I originally thought these would be lovely pieces for a nursery, and have envisioned them in soft pink and soft blue. I later made a mini version of this pattern, andwrote all about it here.